The Apple logo is based on the Fibonacci series. Paul Rand knew what he was doing. 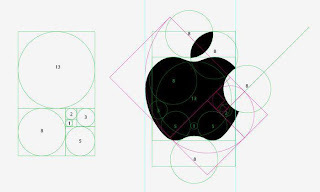 Paul is an American graphic designer, best known for his corporate logo designs, including the logos for IBM, UPS, Enron, Westinghouse, ABC, and Steve Jobs’ NeXT.